tie-up announced this week, and as more media companies, publishers, multi-channel video programming distributors (MVPDs) and advertisers look for ways to reliably measure audiences, content and advertising engagement across all platforms, the rest of 2016 looks ripe for even more deals to surface. Vice president of Adobe Primetime, Jeremy Helfand, says: “With the world’s largest brands, including 10 of the largest media companies relying on Adobe Marketing Cloud, Adobe is at the center of audience measurement and in a unique position to help solve one of the industry’s greatest friction points. He added that the collaboration between Adobe and Comscore will provide marketers key metrics on the number of video starts, average time spent watching, and rate of ad engagement, to optimise their ad campaigns and more efficiently reach the right audiences across TV and digital. Executive vice president and chief research officer at Viacom Media Networks, Colleen Fahey Rush, says: "We know that consumers are watching TV on every screen and platform, and measurement is catching up to capture that activity, but it's still very complex. It is thought the partnership will roll out to the APAC region in Q3 - but details on how this will translate in Australia, are unclear. Another big announcement revealed at the summit involved the mantra that “devices don’t buy products, people do”. Adobe says marketing to people as they migrate from one device to another – from a desktop platform at the office, to a smartphone on the train, to a tablet in their home – has been a “tremendous challenge” facing brands for years, as marketing to the device rather than the consumer has been the norm. In officially unveiling the Adobe Marketing Cloud Device Co-op, a network that will enable the world’s biggest brands to work together to better identify consumers across digital touch points, Adobe says the co-op will empower participating brands to recognise their consumers so they can deliver more personalised experiences across devices and applications. at massive. Co-op members (brands that agree) will give Adobe access to cryptographically hashed login IDs and HTTP header data, which fully hides a consumer’s identity. Adobe then processes this data to create groups of devices (“device clusters”) used by an unknown person or household. Adobe will then surface these groups of devices through its digital marketing solutions, so co-op members can measure, segment, target and advertise directly to individuals across all of their devices. It says consumers will benefit from “truly personalised experiences” with a member brand across all their digital touch points. As an example, Adobe says offers the scenario that 'Sam' is in the process of booking a vacation to San Francisco from Acme travel. She searches for hotels on the Acme app on her tablet, arrival date May 1. Later that day she books a non-refundable room on her laptop via the Acme website. Currently, most brands would continue to serve Sam ads for hotel rooms, not realising that she’d already booked a room, and Sam would find these annoying. With participation in the device co-op, however, Acme can immediately stop advertising hotel rooms to Sam, and start giving her offers for hotel spa treatments, room upgrades, dinner discounts and tickets to local attractions such as Alcatraz. The co-op will not share any personal data, such as name, email, or phone number among its members and it’s possible without disclosing the user’s identity. No personal or site visit data will be shared among co-op members, addressing privacy concerns commonly associated with cross-device technologies. Consumers will have insights into participating brands as well as all devices the co-op associates with the device currently being used. 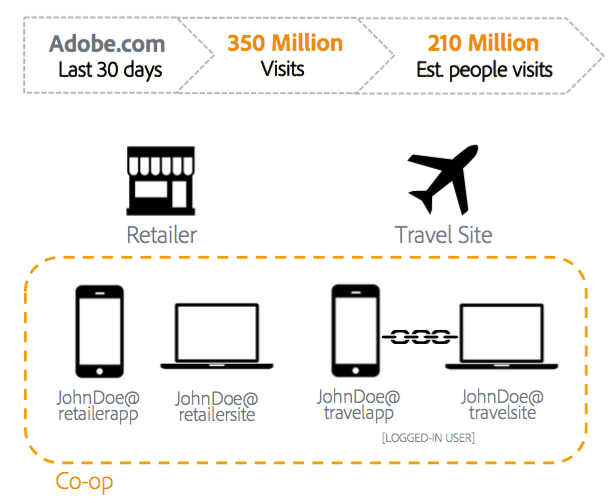 Early measurements indicate that the Adobe co-op could link up to 1.2 billion devices seen by co-op members worldwide. Adobe would not be drawn on what brands are on board so far. Adobe says today’s digital marketing efforts that focus on IP addresses and internet cookies have failed to establish authentic and intelligent connections with every consumer and that through the co-op, marketing to people, not devices, will become a reality. Currently, only brands like Google and Facebook, which have huge numbers of users logged into their ecosystems regularly, have been able to keep track of consumers as they move from one device to another. Research 451 research analyst, Scott Denne, says: “A granular understanding of customer identity is becoming the defining feature of digital marketing and advertising. Also at summit, Adobe unveiled a series of new data science capabilities that combine the creative aspect of human intelligence with the analytical power of data science. The new algorithms in Adobe Marketing Cloud are set to further simplify the process of extracting insights from billions of data points. 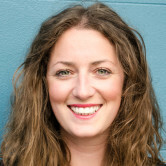 *Adnews traveled to the Adobe Summit, courtesy of Adobe. As people watch content on more devices and paid digital content services continue to rocket, comparable cross-platform metrics remain one of the biggest friction points in TV’s digital transformation. At the 2016 Adobe Summit in Las Vegas, the increasingly cloud-focused computer software company and internet analytics business Comscore announced a partnership that’s set to provide better insights into consumer viewing behaviors – to make for better media planning and buying. 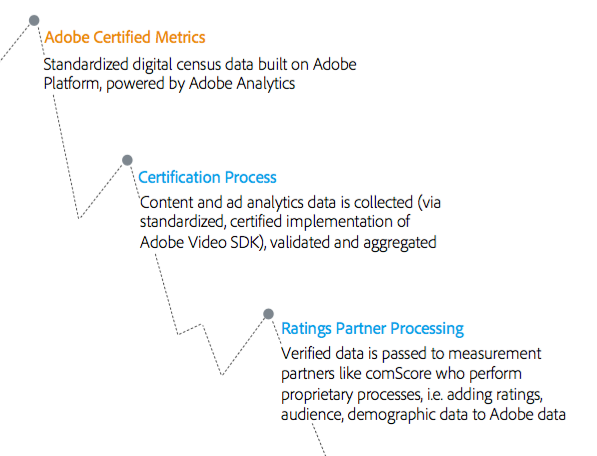 The Adobe move follows hot on the heels of a Viacom and Comscore tie-up announced this week, and as more media companies, publishers, multi-channel video programming distributors (MVPDs) and advertisers look for ways to reliably measure audiences, content and advertising engagement across all platforms, the rest of 2016 looks ripe for even more deals to surface.